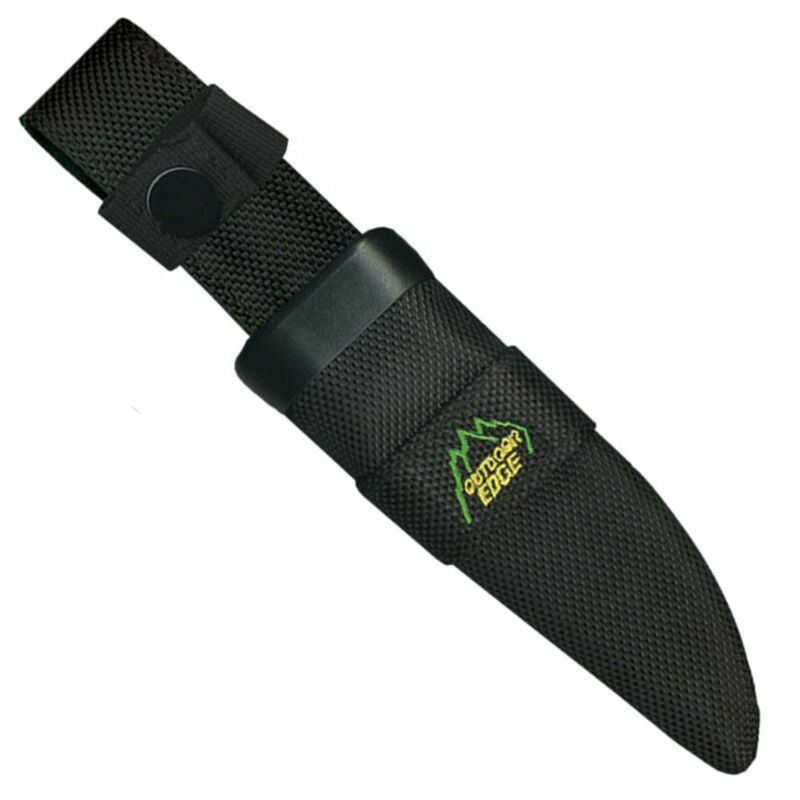 Go ahead, take the SwingBlade Hunting Knife for a spin on your next hunting trip. 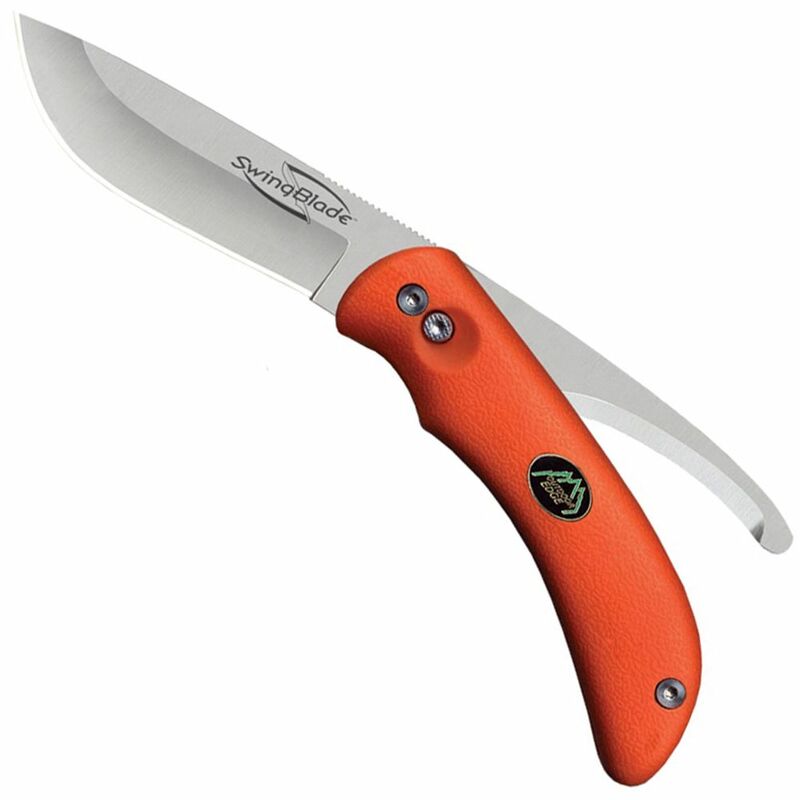 This rotating blade changes at the push of a button, changing between a razor-sharp drop point skinner and a sleek gut hook end. The hard Aichi AUS-8 Stainless blade is sure to last through multiple seasons of field dressing and other hunting tasks. The bright orange handle is made of rubberized TPR, and can be easily spotted if dropped on the ground. A nylon belt sheath is included.